Ken Lee is the Editor-in-Chief and Director of Social Media at Bunkers Paradise. Ken talks about how sometimes he tried to do too much too quickly and the importance of quality of quantity when posting on Facebook and Twitter. Learn how to build an online golfing community in Episode 9 of the Defining Success Podcast with Zeb Welborn. Ken Lee has been involved in sports his entire life. Golf was something that his granparents got him into. They played golf together for 40 years and he watched them play as a young child. Ken loved playing all types of sports and while personally using social media he established contact with Gary Lee from Lakers Nation who had established Bunkers Paradise as a place for used golf clubs reviews. 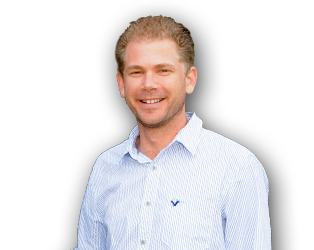 In 2012, Ken came aboard and changed the direction of Bunkers Paradise to make it an online golfing community and they use social media as a platform to build a strong social media community. Ken’s vision for Bunkers Paradise was to create an online golfing community for anything and everything golf. “We live, learn, and love everything golf.” Any golfer from beginner to pro can connect and interact with us. They will learn news, the newest golf club releases, and they make it fun. They also want to help grow and appreciate the game. Facebook and Twitter work well for Ken Lee to reach customers and clientele. Ken likes Twitter because there is quick and fast feedback. Facebook, to Ken, is an avenue to expose people to different articles, fun photos and an opportunity for other golfers to engage with one another. One tip Ken would give for Facebook is to encourage people to interact with Facebook posts. If you write an article don’t just submit it, encourage people to discuss the article that you’ve written. That interaction will give you an opportunity to connect with other golfers. On Twitter, Ken recommends implementing a strategy and they use it as a gateway for everything. Use introduction tweets to start discussions and then through the interaction start to develop relationships that can bring people to their Facebook page or to their website. Social media is the reason why Ken Lee came on board with Bunkers Paradise and he says that it’s been the catalyst for the success of his business. What people don’t realize is that nowadays, people want instant feedback and any company can do that now. Anybody can utilize social media in a positive way. As a result of social media, Bunkers Paradise has been in contact with hundreds of companies including Callaway Golf. Callaway golf has figured out that social media is huge for the game of golf. And they have struck up a strong relationship with Callaway through the social media presence Bunkers Paradise has established. Ken feels he is a good communicator who interacts with people well in the community and people enjoy talking with him and engaging with Bunkers Paradise. They’re just a bunch of golfers who love this game. He interacts with people well and has fun while he’s doing it. Sometimes, in the social media world you can push to fast and sometimes pushing too fast hurts your growth in terms of what you’re trying to accomplish. Ken’s trying to get Bunkers Paradise too big, too fast and he tends to think he should slow down sometimes and just enjoy the ride. To Ken, success is different for each individual, but for the most part it’s setting up a goal and it’s not necessarily reaching a goal, but it’s a journey along the way that help people get to that goal. And whether you have failures or successes along the way, as long as you’re learning the entire time you’ll be successful. Ken considers himself successful because of the people he works and connects with on a daily basis. 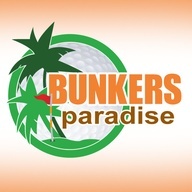 Please connect with their Twitter @BunkersPGolf, search for Bunkers Paradise on Facebook and Instagram. You can also connect with Ken at @GolfingwithLee on Twitter. They will be giving away some prizes as they reach 6,000 Twitter followers. What is better to use for businesses, Facebook or Twitter? Do you think moving too fast is a problem for some businesses? How do you know how good a post is when you’re creating a Facebook or Twitter post? Bunkers Paradise – Bunkers Paradise is an online community for anything and everything golf. Ken Lee is the Editor-in-Chief and Director of Social Media for Bunkers Paradise. Callaway Golf – Callaway Golf has figured out the importance of social media. Visit their website. 19th Hole Media – Although not mentioned in this podcast, I, Zeb Welborn have experienced a lot of success using social media at golf courses here in Southern California and recently started a new website with that goal, 19th Hole Media. Let us show you how we’ve been able to help golf courses grow using social media to build stronger relationships with current golfers and reach out to new golfers. 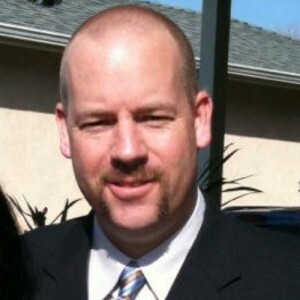 Welborn Media – Located in Chino, CA learn how we can use Internet marketing and social media to reach more customers. Please tell anyone you know in the golf industry to visit – www.19thholemedia.com and contact me if they have any questions regarding how social media can help bring golfers to their golf course. This entry was posted in Episode 009 - Building an Online Golfing Community | Ken Lee from Bunkers Paradise and tagged 19th Hole Media, Bunkers Paradise, Callaway Golf, Chino, Facebook, Gary Lee, Golf, Golfers, Golfing, Internet Marketing, Ken Lee, Lakers Nation, Online Golfing Community, Social Media Community, Twitter, Zeb Welborn on March 30, 2013 by Zeb Welborn.